Hello beauties! 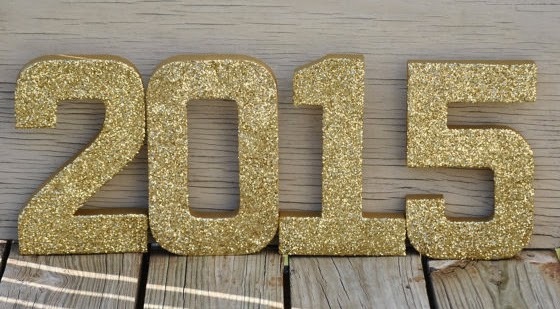 Like I said in my last post 'My 2014 Highlights' today's post will be all about my New Year's resolutions. When it comes to making New Year's resolutions I am always a bit careful because, like most people I suppose, I can never stick to them. The first to months of the new year are usually going great but then it all goes back to how it was before and I seem to completely forget about them. This is why this year I've decided to actually write them down and publish them on my blog because that way, whenever I start slacking a little bit, I can go back to this post and remind myself. I don't know it this is going to help in any way but I guess we will see. 1. Getting Fitter: If there was a countdown of the most popular New Year's resolutions this would probably be among the top three but, hey why not. Being fit and healthy is something every one wants but for some people it's not that easy. So why not use your new year's motivation to get started. I'm going to try to work out at least three times per week and eat healthier but I'm not going to cut out everything at once because, for me, this is not the way to go. 2. Attending more Concerts: Like I mentioned in a few of my previous posts, going to concerts is something I absolutely love and I hope that next year will be filled with many. I'm already planning on going to a few including Olly Murs, Sam Smith, Nicki Minaj (thank you Santa I'm beyond excited to see her live) and Trey Songz but I'm hoping there will be even more. 3. Travelling with my friends: Definitely one of my favourite things to do. I absolutely love exploring new countries and going on little adventures such as hiking or road trips. Most of my favourite memories are from travelling and I can't wait to create more! For the next year I'm hoping to see more of the US and UK and maybe some European countries. I would love to go to Italy again. 4. Being Happy: The one goal I set myself every year, for obvious reasons. I feel like every one should aspire to be happy even if you had a bad year, or maybe two in a row. Always remember everything happens for a reason. I know that this is such a cheesy saying and believing in it is easier said than done but sometimes you just got to have faith. There might be some great things in store for you in the future - you never know. Try to stay positive, I know I will!